Volume is in cubic feet. Specified in whole inches as LxWxH. Approximate dimensions of the box when broken down and folded flat. Use this to estimate how large a vehicle you will need to pickup these boxes. Dimensions are in whole inches. 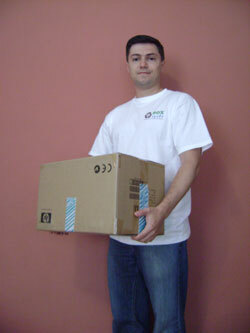 Details: Comparable to Cube/Book/Extra Small boxes used in the moving industry. Typically used to pack very heavy or fragile items such as books, crystal, and glassware. Might also be used for shipping or storage. Photo is not of the actual item.